Hello MIUIers, hope you are doing well. 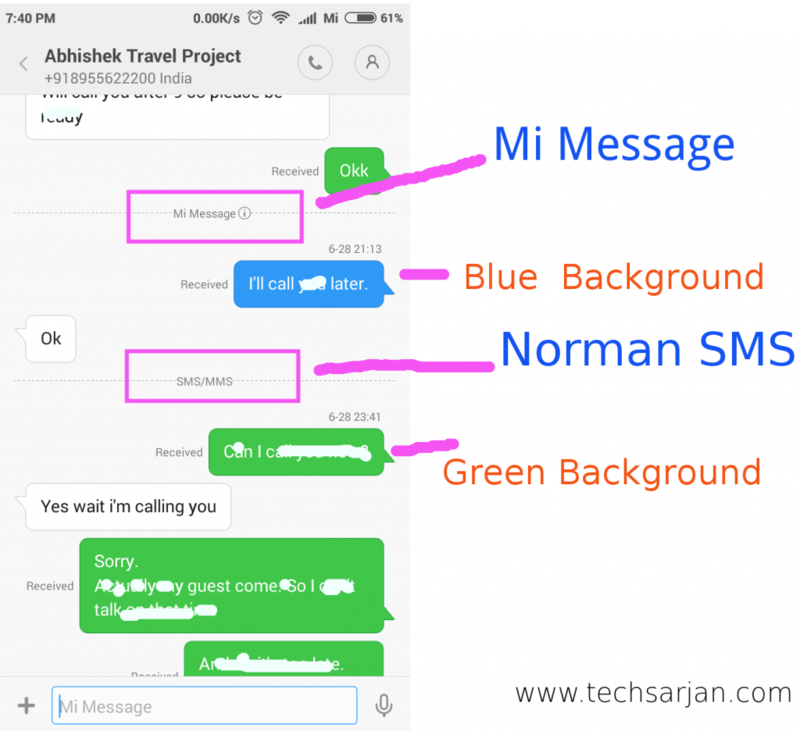 Today we talk about Mi Message, Mi Message is a service which is provided by Xiaomi where MIUI users can send messages each other without any SMS charges/ carrier charges. So in short, If you want to send free messages via the help of mobile data/WiFi then Mi Message is the best option. Previously in MIUI 8, Mi messages activation process is totally different. Now everyone gets MIUI 9 on their phones so we share latest Mi Message activation process on MIUI 9 ROM. 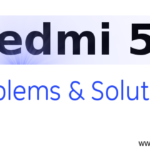 This Mi Message can easily work on all Xiaomi mobiles no matter which is Redmi 1s, Redmi 2, Redmi 2 Prime, Redmi 3s, Redmi 4A, Redmi 4, Redmi 5A, Redmi 5, Redmi Note 3, Redmi Note 4, Mi 3, Mi 4, Mi 5, Mi 6, Mi Max, Mi Max 2, Mi Mix, Mi Mix 2 etc. If you want to use Mi Message on Xiaomi Mi A1 then sorry to say you, but you can’t use Mi Message service on Xiaomi Mi A1 because Mi A1 is based on stock Android ROM and here Mi Message service provided by MIUI. So Mi A1 users can’t use Mi Messages service in their phones. Through the help of Mi Message, you can send free SMS to other MIUI users with the help of mobile data without any SMS charges. This is helpful when you want to send a message to a user and the next person not opening his/her WhatsApp or Messanger. So you can send a message which appears on the screen and he/she must check. Also, a good impact on receivers mind if you wish them on their birthdays/anniversary via a personal message, not a WhatsApp forward. If you are MIUI 8 user or using MIUI 8.5 then please follow this guide to enable Mi Message on your Xiaomi mobile. 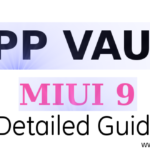 If you are using latest MIUI 9 ROM on your Xiaomi mobile then these steps for you. No matter you are using Redmi series mobile or Mi flagship series mobile. Mi Message activation steps are common for all Xiaomi mobile except Mi A1 which is run on stock Android and we can’t enable/use Mi Message on Xiaomi Mi A1 mobile. Open Settings and go to system apps. Now tap on Messaging option. Here you get Mi Message option. Enable this Mi Message option. A pop appears on screen which says this service use mobile data /WiFi data. Tap on OK.
After following above steps, Mi Message service enabled in your Xiaomi mobile. Now you can send messages to any other MIUI users without any SMS charges. 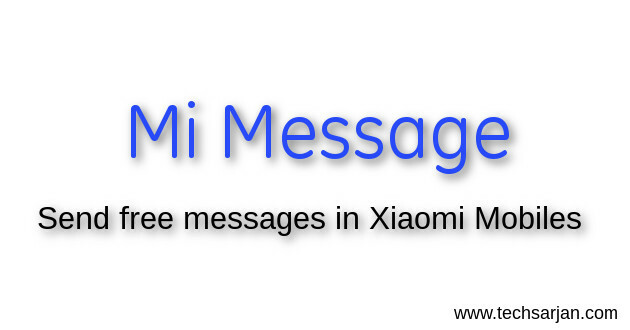 Enjoy this free messages services in your Xiaomi mobile. Yes, We all know MIUI is known for various customization options. and here we also get customization option. Here in Mi Message settings, you can force your mobile to only send Mi Messages means if the next person has Mi phone then can only send messages. here you also block unknown MIUI users so only your contacts can send a message via Mi Message. 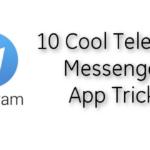 Once you enabled Mi message service from settings. Then now, you need to know the message which I sending right now will charge my balance or can deliver free via Mi message. 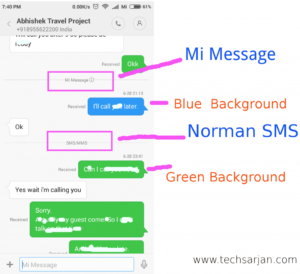 This is very easy to identify Mi messages on MIUI 9 Xiaomi mobiles. When you compose a new message, in the text area where you need to type something which you want to send. In this text box, a text already shows it may be Text Message or it may be Mi Message. 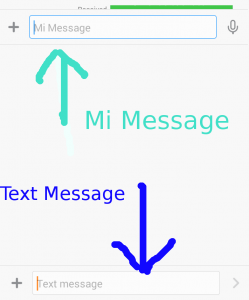 If you already enable Mi Message service from settings and the next person which you want to send message have Xiaomi mobile running on MIUI 8 or MIUI 9 and he also turned on Mi Message service and have working data connection on both phones (your phone and another person phone) then the message text box show Mi Message, Means you can send free message to that users via Mi Messages service. If Message box texts show Text Message then you need to do something else SMS charges apply to that message which you want to send to the other user. Both phones must be enabled Mi Message service from settings. Both phones have a working internet connection. Make sure you both are added each other contact list(Not required if not customized in Mi Message settings.). Both phones run on MIUI, If you are use custom ROM like Lineage OS then not work. 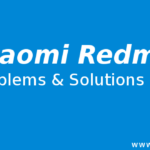 The message which you send is gone via Mi Message service or operator, you can easily identify send messages. When you open message history then you see message text background if you message text background is green then that message send by the Network operator and you need to pay the operator. On the other side if the message text background is blue then your message delivered via Mi Message service. you don’t need to pay anything to anyone. P. I am unable to send a message via Mi Message, what to do? Ans. Please first enable Mi Message service from settings and make sure your friend also enabled this service. P. Previously in MIUI 8, Mi Message working fine. Now not working on MIUI 9. how to solve this issue? Ans. Please once check Mi Message activation status from settings. if enable then please clear the cache data via security app. P. I am not able to found Mi Message function on Mi A1? Ans. Sorry to say you, but Mi Message only available for MIUI users. So you can’t use this Mi Message function on your Xiaomi Mi A1 mobile. P. I do all the settings but still, I charged by the operator? Ans. Please make sure your friend also enabled this function and you both have a working internet connection. 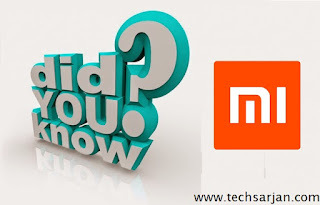 If you are using Mi cloud service where you enable message sync then your all messages must be sync to Mi servers. If you don’t want to sync messages then please disable message sync from Mi cloud sync setting. Mi Message works on all MIUI versions no matter which is MIUI 7, MIUI 8 or MIUI 9. 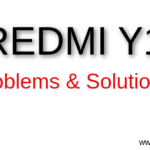 Here you can enjoy this Mi message on Xiaomi mobiles including Redmi series mobiles and as well as Mi Mobiles. There is no need to wait for MIUI 9, you can use this Mi Message service on any MIUI version. But ensure that you both have working internet. Here we try to cover all topics which related to Mi Message. However, if you face any other problem in your Xiaomi mobile then please tell us via the comment section.